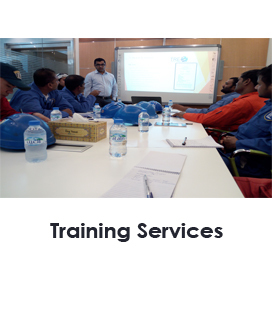 Technical Royal Excellence is known for its training expertise especially for technical training. Technical Royal Excellence helps the clients in developing competence and reducing risk through having personnel properly trained and assessed. We have highly qualified trainers who train people at the optimal level of the industry. The course has been produced to ADMA-OPCO Standards, BS 7121, API RP 2D and Norwegian Norsok R-003 Standards reflecting Construction Industry and Oil / Gas best practices. Some experience in Oil / Gas, Construction Sites & industrial yards Rigging & Slinging. Offshore Crane Operator course is designed for Crane Operators with a responsibility for lifting operations who have sufficient experience of the use of cranes to meet the requirements specified in British Standard 7121 Safe Use of Cranes. Sufficient experience for using cranes in Oil / Gas, Construction Sites & industrial yards. Courses will be conducted at the clients premises, but can, if requested be held at other locations. Tutorial; Case Studies Discussion; Video Illustration; Practical Training & Examinations. Lifting Supervisors Mobile Cranes course is designed for Supervisors and Managers with a responsibility for lifting operations who have sufficient experience of the use of cranes to meet the requirements specified in British Standard 7121 Safe Use of Cranes. The course will be useful for participants to enable them to implement Lift Plans of different Classifications and as per the Lift Complexity. Mobile Crane Operator course is designed for Crane Operators with a responsibility for lifting operations who have sufficient experience of the use of cranes to meet the requirements specified in British Standard 7121 Safe Use of Cranes.